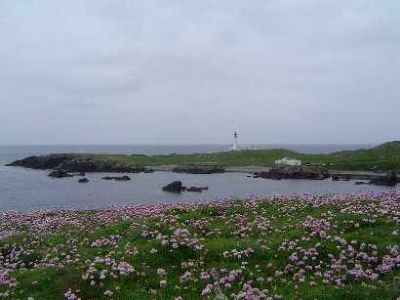 South Light Fair Isle. 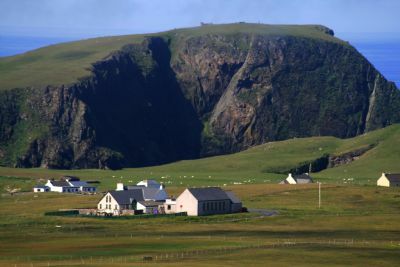 A great little island - a great place to stay! 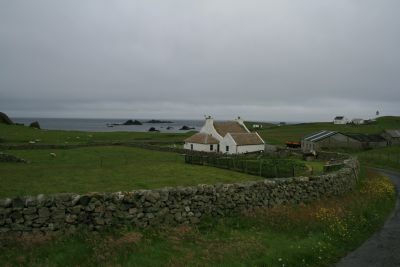 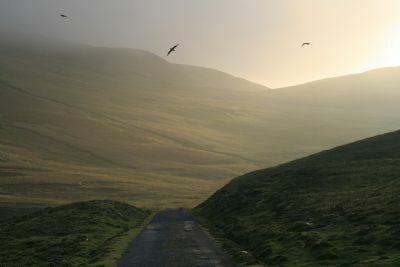 Fair Isle, far to the north of mainland Scotland and midway between Orkney and Shetland, is Britain's remotest inhabited island. 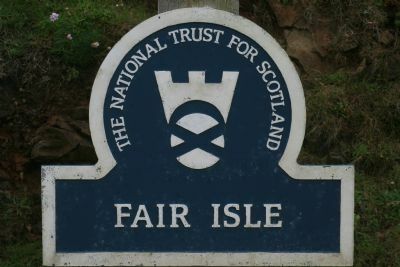 It has been owned by the National Trust for Scotland since 1954.
give way in places to modest flower covered grassy banks. 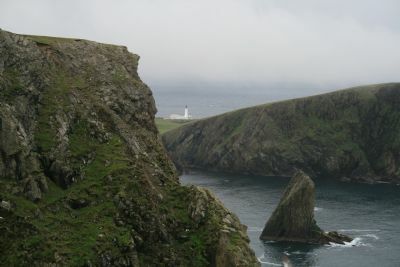 It's a surprisingly long coastline too - some 50 miles if you follow all of its jagged indentations. 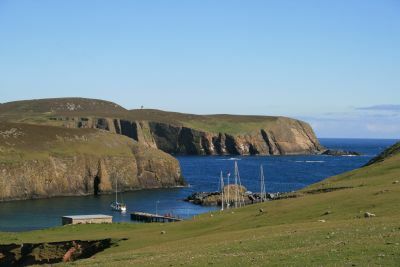 For information about accommodation on Fair Isle see our home page.